Environ – new Storm Queen and Holiday Special – Chain D.L.K. Special holiday promotion! Get your choice of a free Environ CD with any T-Shirt order from now until December 31st while supplies last. Just put the name of the CD you want in the notes of the order when checking out from the Environ Store. Check below for a list of the CDs that are available for the offer. 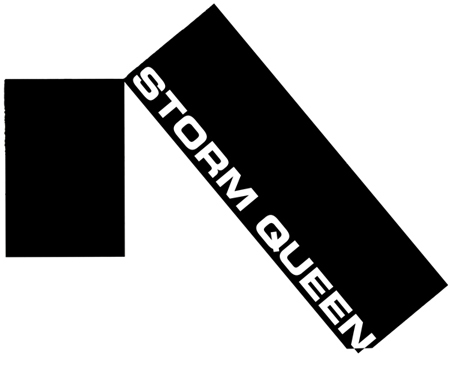 Thanks to Resident Advisor for their review of Storm Queen “Look Right Through” and to everybody who’s supported! Storm Queen 12″s are sold out, but digital is always available and we still have a few copies of Morgan Geist’s Detroit EP featuring Carl Craig’s wonderful remixes. Details on both records below. Finally, Metro Area (both together and individually) have upcoming tour dates. Check the tour dates below and be sure to check them out when they’re in your town! Holiday Special in the Environ Store: Free CD with any T-Shirt purchase, including sale-priced Girlie Tees! Also, all of our American Apparel girl’s cap-sleeve T-shirts are on sale! A super-cheap girlie T and a free CD – come on, people! Show off your love for Environ and look good doing it! The next Storm Queen release (limited 12″ and digital) lands in March 2011 and will once again feature the vocal talents of Damon C. Scott. Scott and Geist met on the NYC subway, where Scott performs. We’ve been meaning to repress this one for a while and a recent bootleg of the record made us finally do it! Unlike the bootleg, ours is the full release (3 tracks on 2 sides rather than the bootleg’s 2 tracks on one side) and pressed to our usual high standards. Pick it up in the Environ Store or at fine shops now – and screw bootleggers! After a couple of US jams this month, Morgan and Darshan will be making some dates in Paris, Israel, and Germany. Do you have New Year’s plans yet? Here’s a suggestion: join Darshan in Tokyo or Morgan in NYC!